Sometimes in can be so easy to take beauty for granted. Much like we in the Caribbean do – until we’re away from it! We are surrounded by the vibrant palettes of the tropics, yet oftentimes we forget what a treasure it is. 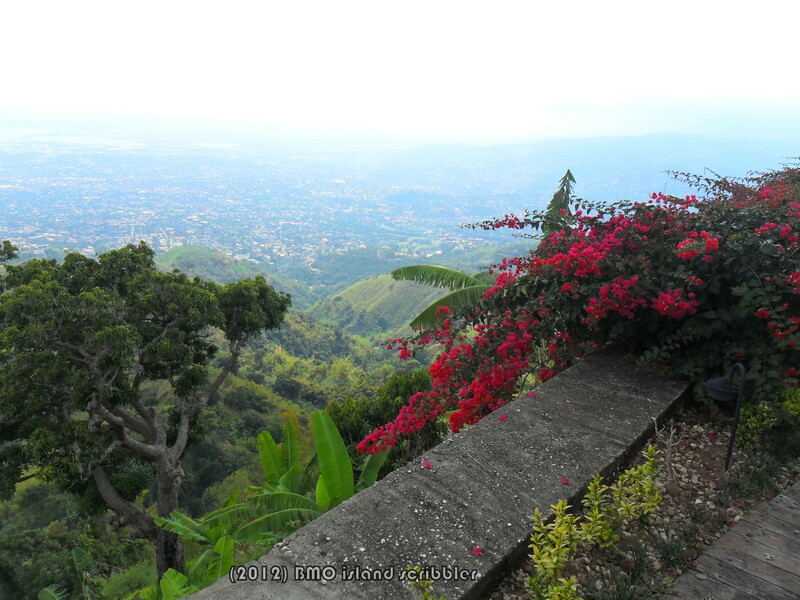 Over the Easter weekend, I joined a group of Hashers at 5:30am and we set off into the Blue Mountains of Jamaica. 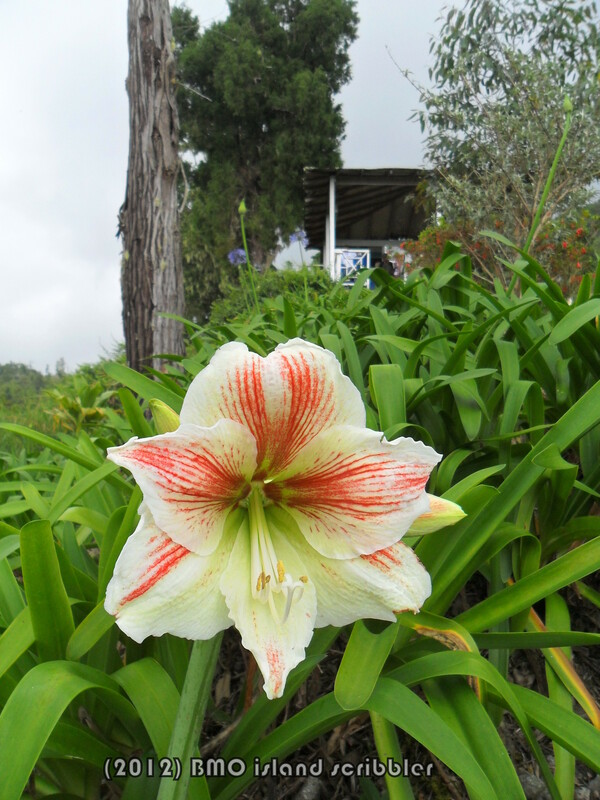 Our desinatation was Hollywell Park & the Gap cafe – located some 3000ft above sea level. Our mission was to make it to the cafe – alive of course! – to enjoy a steaming hot cup of Blue mountain coffee. We started from the Norbrook area and did a gruelling uphill journey for close to four (4) hours, passing through Woodford & Peter’s Rock. My feet are still recovering from this ordeal! For a few hours, I felt like I was in a different world. Here, like many other communities in Jamiaca, motorcycle is a form of public transport. You can even call the motorcycle man from the bottom of a hill via cell phone and like any taxi service he comes and dutifully takes you home. 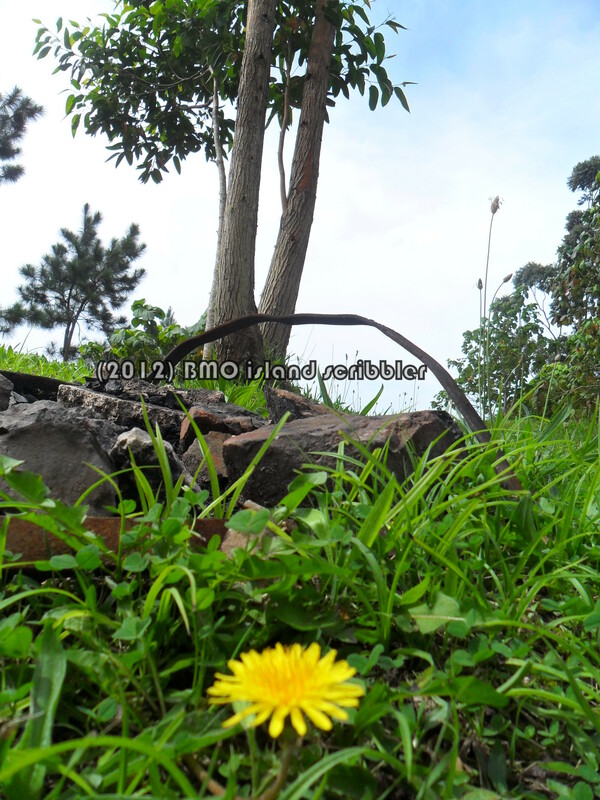 Alongside many homes are small plots of land dedicated to growing vegetables. The generosity, sincere smiles and greetings of the many villagers could almost make you cry. One orchid vendor stopped for a few moments, and handed out ripe bananas, fresh from her garden, to us. Jamaica has a very large following of the Seventh Day Adventist faith. 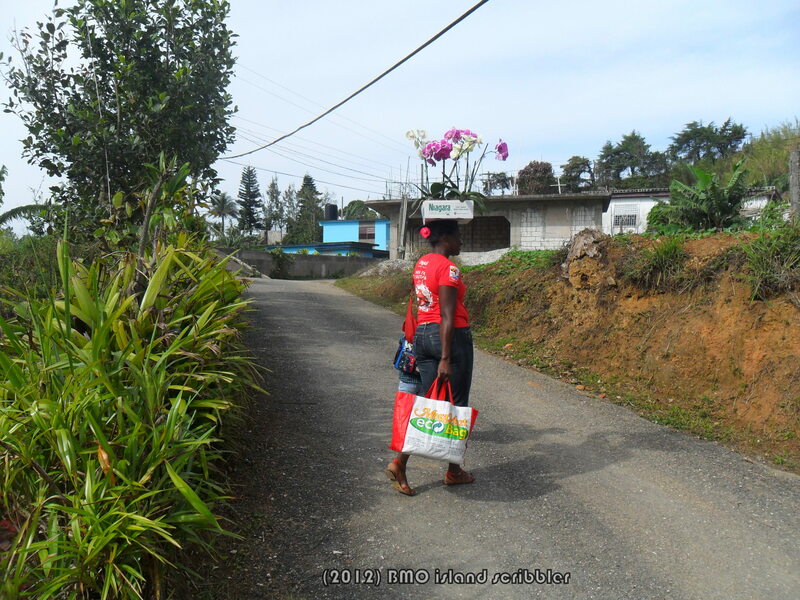 As we slowly toiled uphill, we passed many old ladies, children and men dressed up in Saturday best heading to church. At Hollywell Park I dug in to a feast of fresh raspberries and golden apples. Standing at a point dubbed “Mount Edge” I filled my lungs with the cool, sweet mountain air and looked out on the green vastness before me. 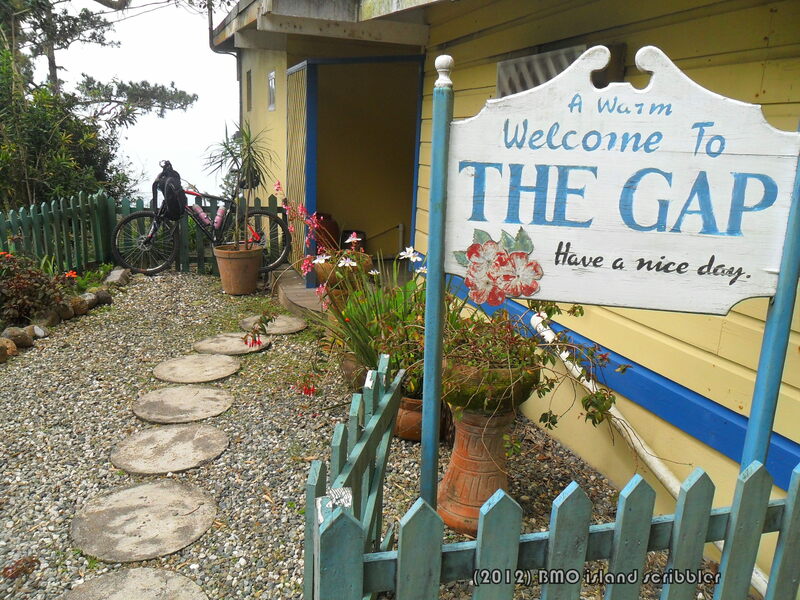 A short walk along the quiet pathway brought us to the gate of Gap Cafe – a rustic cottage nestled in the hillside and flanked by flower beds, shrubs, a green picket fence and circular flagstones – inviting the eager traveller to step inside the cool interior and sample mixed fare. The decor was reminiscent of my granny’s taste, simple and faded but with an inexplicable charm that makes you feel right at home. The step down verandah at the back offers equisite views, a sloping flower garden, tall eucalyptus trees and the possibility of sighting a Doctor bird or two. 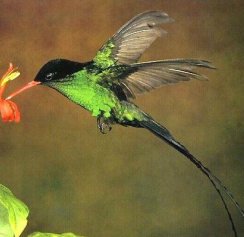 The Doctor bird is the National bird of Jamaica and one of approx 320 species of hummingbird. Jamaica is the only place on earth where the Doctor bird can be found – a challenge for bird lovers:). (Photo courtesy the internet). Here, it was easy to forget that several miles away and closer to sea level lay bustling Kingston. It was easy to forget the daily struggles that characterizes life, the many allegations of police shootings, persistent crime, the dons of the inner cities and the appalling cases of sexual abuse of the nation’s children. What a contrast. 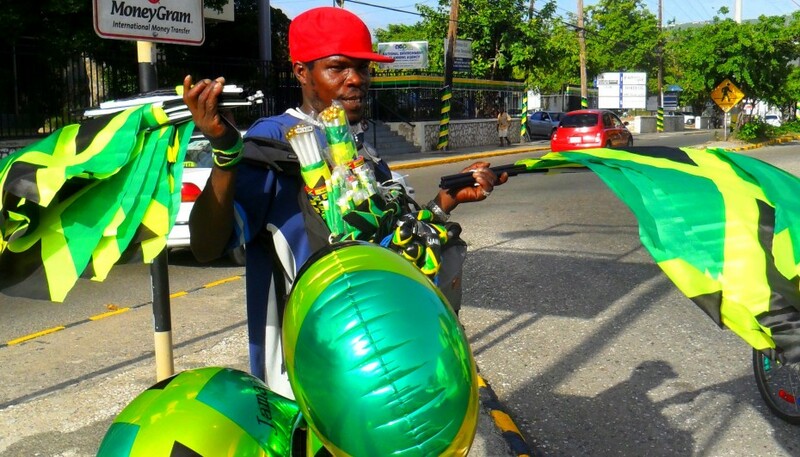 Crime unfortunately is not only Kingston’s problem, but one that is stifling memories of the carefree existence of a Caribbean childhood. Thankfully there is hope, as we in the various islands continue to pool our collective resources and intellect to battle the problem in various ways. Check out this informative video on the Caribbean Human Development Report 2012. It seeks to look at the link between development and growing levels of insecurity in the Caribbean. One key message that resonates with me – INVEST IN THE YOUTH.